Click here for past photos and species list ! 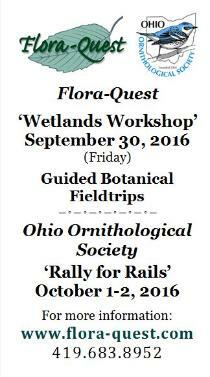 Dive into wetlands with Flora-Quest 2016! and amazing Great Lakes region field trips! All your favorite leaders. Speakers: Mark Dilley, Jim McCormac and Jason Lewis. you to see Ohio's best preserves with expert botanical guides. (click here to download this information as a printable PDF) or go to Lodging webpage. Flora-Quest's goal to connect citizens with their natural heritage. we understand, and understand only what we are taught." This year we embraced a new habitat, the hemlock forests and uplands of Mohican State Forest. ecosystems and a second day to learn how they are impacted by agriculture. feeds the land and protects our natural heritage, or will Ohio be a land of extraction? 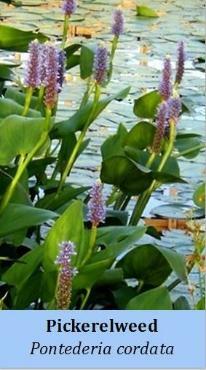 Aquatic plants are important, too!